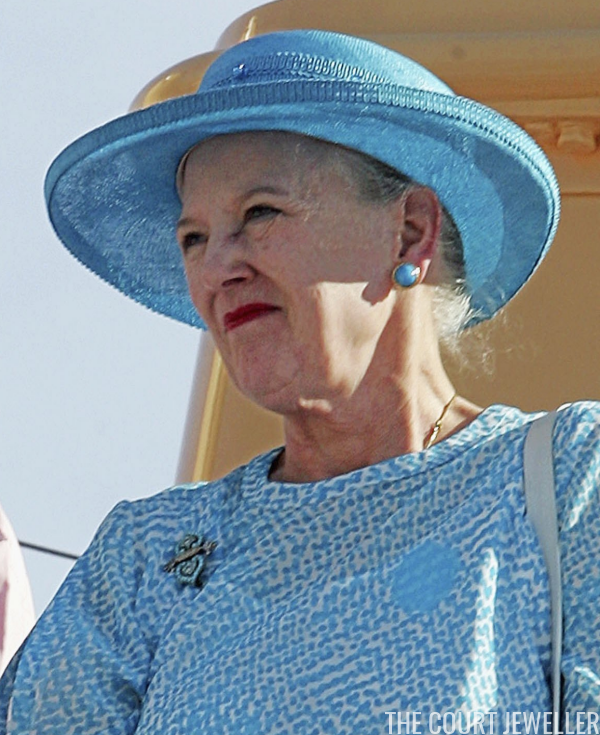 Queen Margrethe II of Denmark absolutely loves turquoise and diamond jewelry -- her collection is filled with heirloom jewels she has inherited as well as modern pieces she and her late husband, Prince Henrik, acquired themselves. Today's piece, a lovely turquoise and diamond brooch with a mirrored design, is one of the lovely antique examples from her jewelry box. The brooch, set with diamonds and small round turquoises, originally belonged to Margrethe's grandmother, Crown Princess Margareta of Sweden. 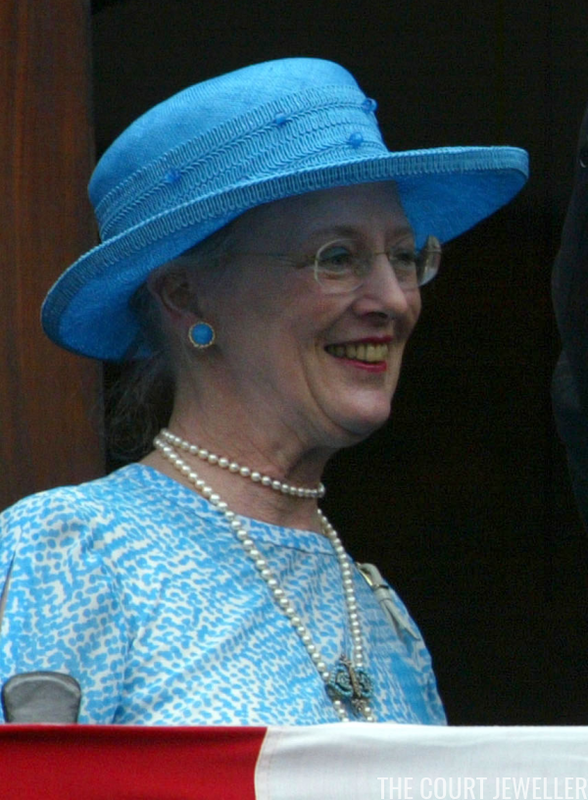 She was born a British princess, and her wedding gifts included numerous turquoises. For example, she also owned the striking Turquoise Daisy Bandeau, which bears some resemblance to this brooch in its construction. 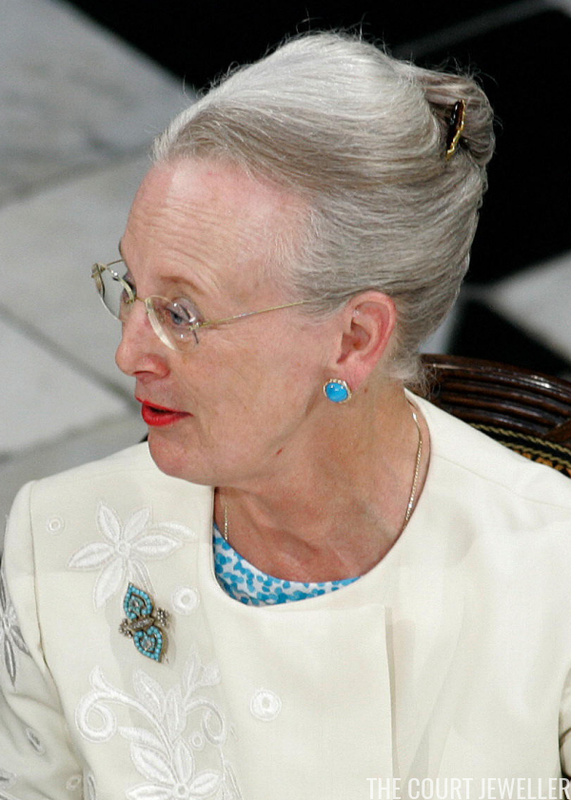 Margrethe has worn the brooch, which resembles a stylized butterfly or a pair of hearts, for many years, using it for various occasions. Above, she wears it with a brightly patterned floral dress and bright red accessories during her official visit to Vietnam in November 2009. 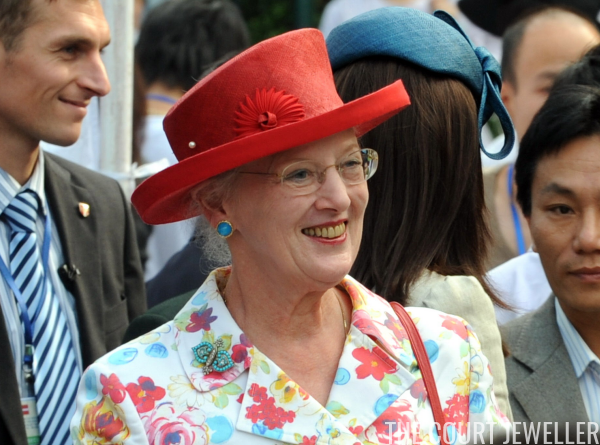 The combination of the floral frock and the brooch has been a favorite; here, she wears it the same way during a 2008 visit to Mexico City. Even against the busy fabric, the shape of the brooch stands out nicely in this particular view. 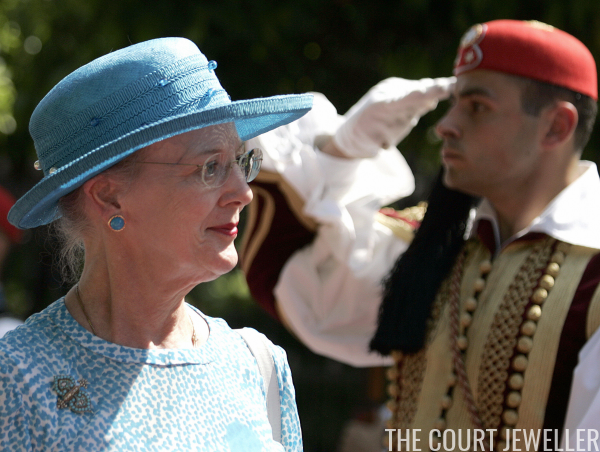 For her official visit to Greece in May 2006, Margrethe wore the brooch on a background of pale blue. The similarity between the color of the outfit and the color of the piece meant that the brooch faded away into the background a bit. 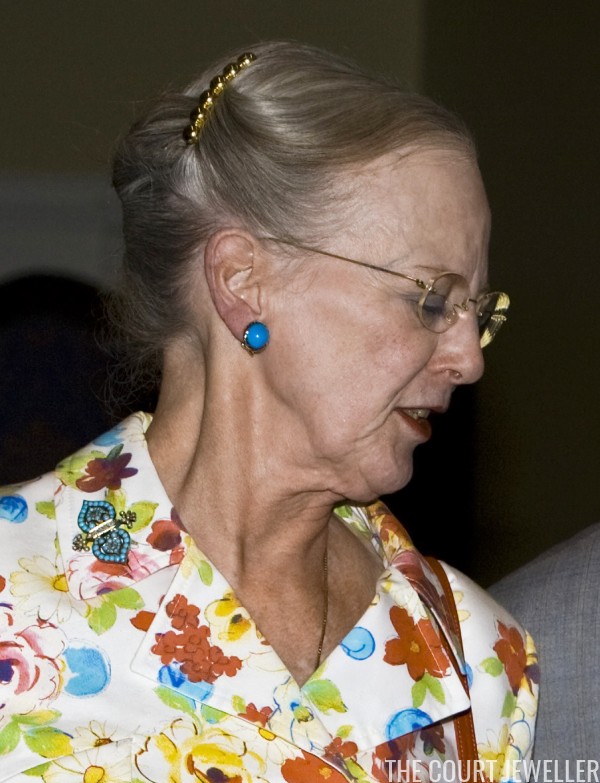 Margrethe loves to use her brooches as enhancers on her long pearl necklaces, and she wore the turquoise brooch this way during the festivities for Crown Prince Frederik and Crown Princess Mary's wedding in May 2004. 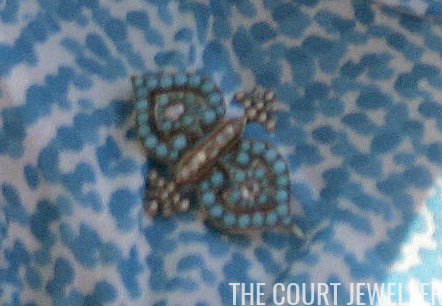 For me, the brooch is most successful when worn against solid, light-colored clothing. It stood out nicely when worn with a white jacket during a luncheon hosted for the President of the United States at Fredensborg in 2005.